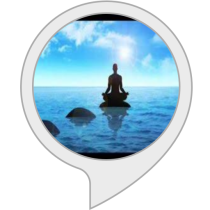 Simply enable this skill and ask Alexa to ‘Play Mystical Music’. Sit back, relax and immerse yourself listening to mystical melodies one after another. Got a distraction or need a break? No problem. Simply say ‘Alexa, Pause’ and resume listening to the playlist when you return by saying ‘Alexa, Resume’. You may also list the tracks by simply saying ‘Alexa, ask Mystical Music to list songs’. Want to play a particular song? No worries, you can do that. For example, to play Song 5, say – ‘Alexa, ask Mystical Music to Play Song 5’. You may also skip to the next or previous song by simply saying – ‘Alexa, Next’ or ‘Alexa, Previous’. To shuffle songs, simply say – ‘Alexa, Shuffle’. Proudly developed by one of our own – Ashish – this skill is powered by Dilli Podcast framework – which also powers other skils such as Handball Radio. Click the skill icon on this page to learn more about Mystical Music. Isha Foundation has generously consented to using their songs in this skill. This is strictly not-for-profit. Isha Foundation and Sounds of Isha maintain the rightful ownership of all songs included in this skill.